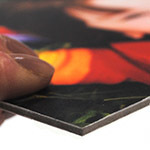 Supersize Print specialises in board printing and is proud to offer a huge selection of boards to suit every purpose. 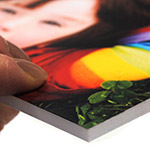 From one-off prints to large print runs we provide the same super service, super quality, superfast. 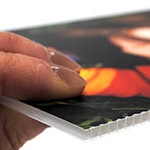 We print, cut to shape, fold, laminate, wrap, and drill and offer a wide variety of accessories and mounting options. Below is our selection of popular board options but you can find many more boards in the top menu bar. Bring out the best in finely detailed, crystal clear professional photography with this gallery grade printed board, giving the pinnacle of print results for jaw-dropping realism. 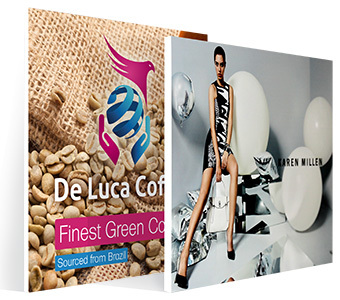 Premium branded foamex board with a range of mounting options to suit indoor or outdoor. Printed in stunning colour and detail for all your treasured photos and artwork, highly durable outdoors as well as in, premium branded foamex board with a range of mounting options to suit indoor or outdoor. A popular choice for indoor prints and outdoor signage. 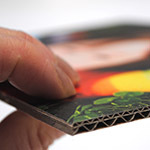 This slightly flexible plastic board which is outdoor durable is often called foamex, but not to be confused with foam board, which is delicate in comparison. 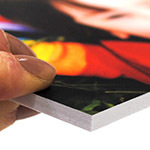 5mm thickness is very popular for a multitude of applications; point of sale, artwork display, outdoor signage. Easy to drill and cut. Do your bit for #WarOnPlastic with our innovative ecobloc printed board alternative. Ecobloc is made using digitally engineered cardboard and surpasses all other boards in the looks department - the image wraps around the edges so no unsightly white edge showing as with foam and PVC boards, the 3 dimensional nature of the structure ensures the board is perfectly flat, and the 2cm thickness of the edge gives a reassuring and robust appearance of being hewn from a solid block - hence the name ecobloc. Made with over 90 percent recycled paper and organic inks, and fully recyclable, this is the ultimate eco-friendly large format print alternative. No Plastics used in the packaging, and made here is the UK so no overseas shipping – what more can we do? Next time you are buying printed board help save our planet by choosing ecobloc and never need to use plastic again. 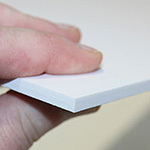 Lightweight, clean white edges, this board will enhance a presentation and is good for the budget. Gives stunning print results. This highly flexible board will wrap around most curved surfaces such as columns in offices, lecterns and exhibition pods. This plastic board is outdoor durable and gives stunning print results. Easy to drill and cut. If you have a conscience then this is the board for you! Made from 100% recycled cardboard, and is fully recyclable. 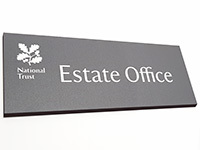 A lightweight, economic and environmentally friendly board, ideal for many commercial uses from Point of Sale to Presentation, or simply as a low cost way to get images on your walls while showing your green credentials. 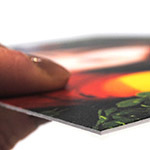 Gives stunning print results equalling much more expensive boards. A tough weather proof board made from corrugated plastic, flexible, easy to punch or drill holes through, it is the ideal board for outdoor events where budget is key. The coolest way to display your black and white/greyscale images is on this solid black board. Great for retail, a nice looking rigid card display board which is self standing supplied with a rear back strut. With rectangular and cut to shape options below.